Nau mai ki tenei wiki Kōrero. To those who have a break over the next couple of weeks have a great time. We are looking forward to seeing a number of you at PLD. The latest updates to the PLD calendar have been made and you can see them at the link below. As there are regular updates to PLD please do not print off the information from the Kōrero. The most up to date information is at the online PLD calendar through outlook. You can access that here. Just a reminder about recent changes in the property team. Lorraine is no longer undertaking administrative tasks for the property team. Peni has taken on this role so any questions related to property and PA1’s should be directed to him Lupeni.Aitogi@wmkindergartens.org.nz. Lorraine has taken on some other roles within the association, however she is still responsible for health and safety administration including GOSH. Please remember to check your web pages regularly and send any changes you might like through to either Tania or Chanelle at the office. We have recently updated the phone list for the Association office staff. Please click here to download a copy of the new list. We recently updated you on amalgamation discussions with He Whānau Manaaki (HWM) and the Whanganui Association, advising that we planned to amalgamate by July, although no formal decision has yet been made. Over the past few weeks we have looked at the staffing, property, financial and legal aspects of coming together. The working group recommended to the two boards that Whanganui Association amalgamate with He Whānau Manaaki. The next steps are for the two boards to agree to the amalgamation and then for the Whanganui board to recommend the amalgamation to its members. The members would then vote on the proposal, at a special general meeting in May. For Whānau Manaaki this means a special general meeting would be held in May to make alterations to our Constitution. Dates for this meeting will be confirmed early next term. Whanganui and He Whānau Manaaki Associations want a strong and enduring future for kindergartens across our regions. We want kindergartens to be well-supported in each community, with professional teaching teams and kindergarten staff offering fantastic experiences for every child. That is at the heart of what we do. We will keep you posted, but in the meantime if you have any questions please get in touch with Jane at He Whānau Manaaki jane.braun@wmkindergartens.org.nz. The New Zealand Educational Institute Te Riu Roa (NZEI) has written to the Ministry of Education to initiate bargaining for the renewal of the Kindergarten Teachers, Head Teachers and Senior Teachers’ CollectiveAgreement, on 1 April 2019. While Associations are the employers of teachers in kindergartens, the Secretary for Education is required to take responsibility (under delegation from the State Services Commissioner) for negotiating the collective agreement. Negotiations will be carried out by the Ministry’s Employment Relations team (with representatives from association employers) and the NZEI Te Riu Roa. Teachers who are members of NZEI can expect to hear directly from NZEI during the bargaining process regarding progress and any settlement reached. The Curriculum Development Framework for 2019 has been updated and you can check it out here. The updated document now includes dates for GOSH as well as Appraisal and Strategic Teaching and Learning Plans. 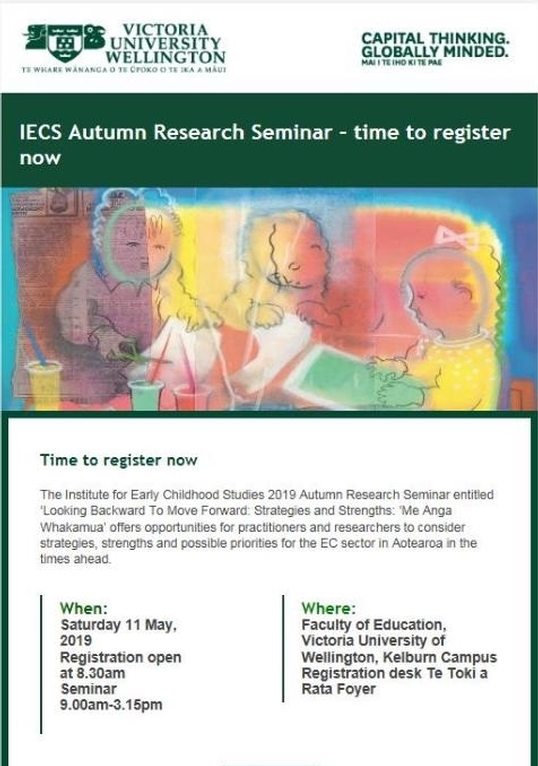 Victoria University of Wellington, Institute for Early Childhood Studies Autumn Research Seminar: ‘Looking Backward To Move Forward: Strategies and Strengths: ‘Me Anga Whakamua’ offers opportunities for practitioners and researchers to consider strategies, strengths and possible priorities for the EC sector in Aotearoa in the times ahead. If you are interested in taking part in the Professional Development opportunity below and it aligns with your teaching and learning goals and or appraisal goals, then support with registration fees may be available. Please contact your Senior Teacher to discuss this further. Thank you, Sharon and the Teaching team. You can find out more information about this PLD or register for it by clicking here. 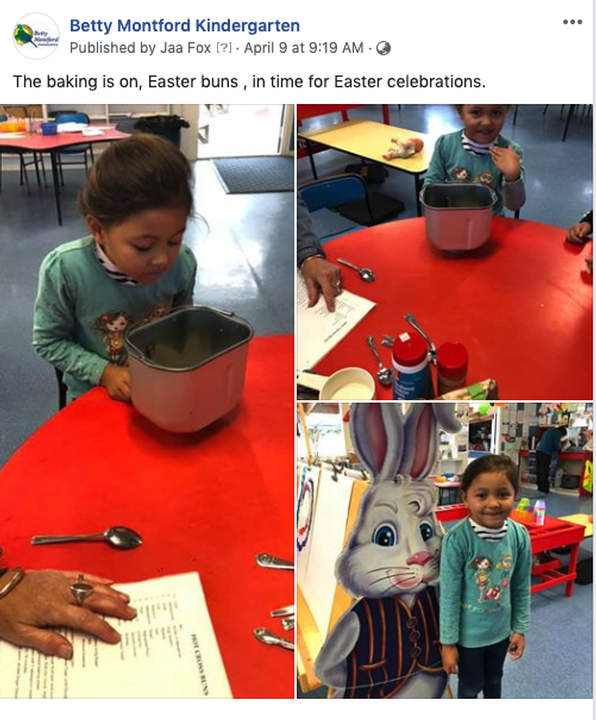 Recently the team at Pukerua Bay Kindergarten renamed and relaunched their playgroup, now known as He Ara Tika (a pathway forward). This playgroup is located in a building separate to the kindergarten. The tamariki from the kindergarten will go to the playgroup weekly to build relationships and support the younger tamariki. In preparing the older tamariki for these visits Jared and his team worked through a process with them to develop their Rangatira Badges. This was an initiative designed to build up leaders at kindergarten and a way to create connections between both kindergarten and play group. In coming up with the new name Trish researched the history of Pukerua Bay. Paths and tracks have played a huge part in the Pukerua Bay history. Right from the early Maori settlers, tracks were made through Pukerua Bay for those travelling both north and south. After the arrival of the colonists James Cohen wrote in his book (The NZ wars) “There was a telling of gun powder being carried through forests and ridges of Pukerua”. Charles Gray had land surveyed and blocks were available for sale between 1890- 1940 and mail was delivered on foot using the track from Plimmerton to Pukerua Bay. In 1920 there were 100 houses and in 1928 the track was widened for cars. The main access from Wellington was by rail. The name changed to Pukerua Bay in the 1920s – as there was a place in the South Island called Pukerua. In 1938 Centennial Highway was started. Over the years traffic had continued to grow and protesting in 1989 by local residents closed State Highway 1 for 45 minutes and as a result an overbridge was installed. 2017 saw the official opening of the heritage trail, He Ara Pukerua. In the 2013 census there were 1900 people in Pukerua Bay and approximately 850 houses. A recent grant has seen the team at Te Timatanga Hou purchase a buggy system that can carry up to 6 children at any one time. It means taking the children out to explore their local community has just become a whole lot easier. The buggy system was supplied by a local Levin company, Kinderpod. They have a facebook page, see here. 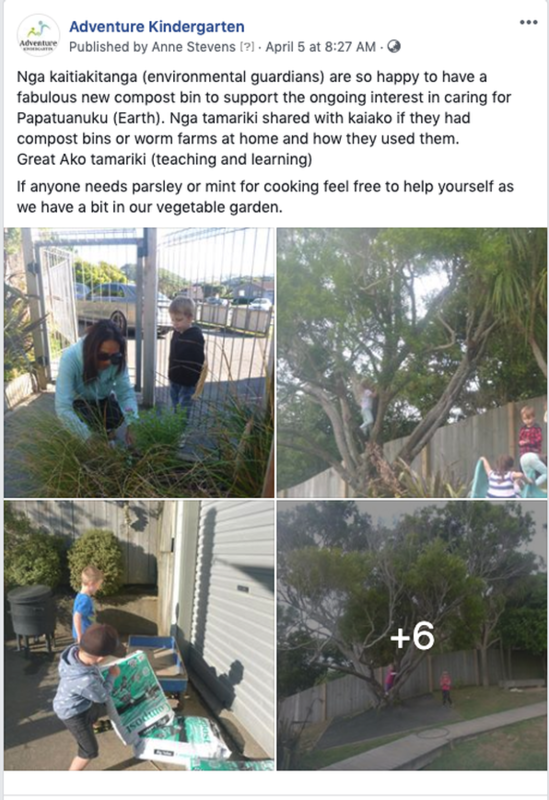 Feel free to get in touch with any of the team at Te Timatanga Hou if you want to find out about the practicalities of using this buggy system for your own kindergarten. “Working with children in any way, shape or form, it’s so rewarding! Don’t ever lose your wonder at what children can do!” That’s the advice from Christine Macilquhan who is retiring after more than 15 years at Titahi Bay Kindergarten. Christine is staying with education, moving to support new entrants at Titahi Bay School, so she will keep in touch with many of the kindergarten children. Living in the community, Christine says she has been able to build lasting relationships with families. 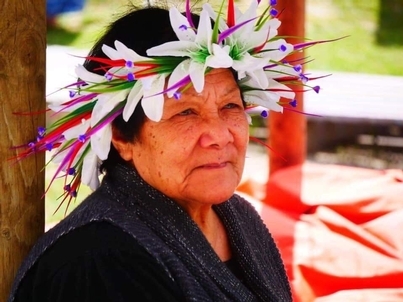 Susana Lepaio also retired this month, after being at Nuanua since it opened in 2015. Susana says she was so lucky to have been part of creating Nuanua, with everyone at the Association being so friendly and easy to talk to. She already misses the children and her colleagues but she will be popping in for visits. Susana plans to create a beautiful flower garden on her property, with help from her neighbour who has promised cuttings. Now, she just wants some good weather. She is also looking forward to seeing more of her five grandchildren who live in Australia. 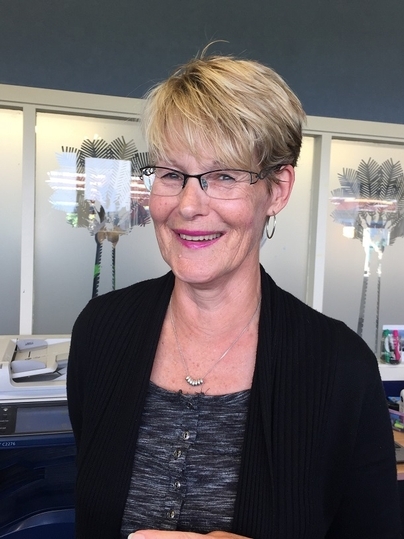 Jeannine Reid, who is retiring from East Harbour Kindergarten, says the enviroschools programme is one thing she’ll miss after she steps down at the end of the term. Jeannine has been at East Harbour for three years and has worked for Whānau Manaaki Kindergartens and Wellington Kindergartens for more than 12 years, after a long career in early chilhdood education. She plans to do some cycling and walking in the immediate future, but expects to be back relieving before too long. Jeannine says the enviroschools programme has inspired her in recent years, and she says the professional development, support, and Māori lens of the programme, its spiritual dimension, has strengthened her teaching and kept her engaged. Jeannine says kindergarten is the best place to work in the early childhood sector and a major reason is the spacious grounds that children have to play in – up to twice or three times the regulated minimum space. The government has changed the Kiwisaver rules, so people now have more options about how much money they put into their Kiwisaver accounts. Previously the top contribution was 8% of income but that’s now gone to 10%. People can choose to contribute 3,4,6,8, or 10 per cent of their pay, while employer contributions remain at 3%. If you want to change your contribution rate email payroll@wmkindergartens.org.nz. While each person’s circumstances are different financial advisors generally recommend Kiwisaver as a good way to save, although paying off debt should be the highest priority, and paying down a mortgage after that. In other changes to Kiwisaver people can still contribute once they turn 65, and people can join after the age of 60 without having to stay in for five years. Changes this month were also made to the minimum wage which has gone up by $1.20 an hour to $17.70, and relevant kindergarten pay scales have been adjusted to reflect this. And a new leave provision has come into effect with up to 10 days leave now available for victims of domestic violence. Anyone wanting to use these provisions should contact Karen Skett or their Senior Teacher, in confidence. Primary teachers have rejected the latest offer from the government to settle the teachers’ collective agreement, and industrial action is planned for next term. Teachers will hold paid union meetings in the second week of term, and will ‘work to rule’ for a fortnight from 14 May, with a national strike planned for 29 Mayif no progress is made in any further talks. The ‘work to rule’ would mean only working Monday to Friday, 8-5pm, and could affect things such as Saturday sport, school concerts, parent teacher nights and fundraising activities. The kindergarten teachers collective agreement is connected to the primary teachers agreement, and any pay rise would be passed on. The kindergarten teachers agreement is up for negotiation later this year. South End Kindergarten recently took a trip to their local bike park. 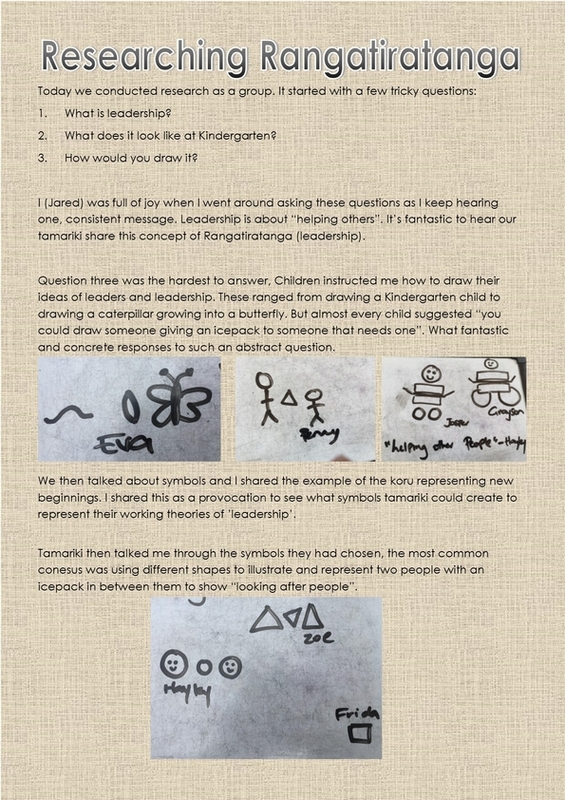 The tamariki throughly enjoyed the challenge of riding their bikes in a different environment from kindergarten. 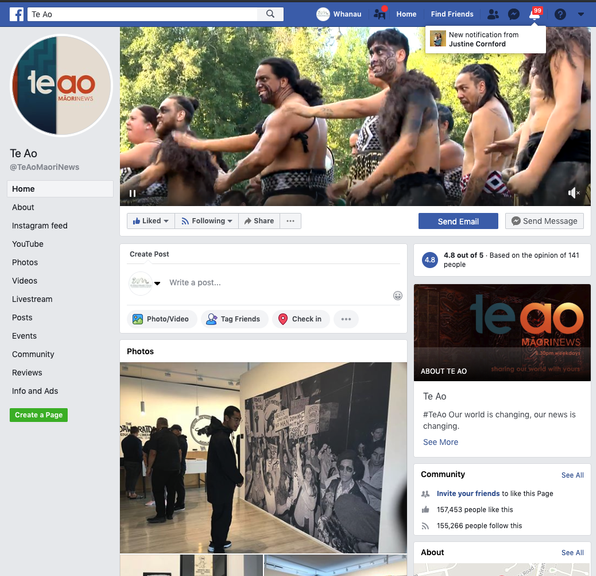 Te Ao - your leading Māori news provider bringing you the latest news as it happens, straight to your device. The team is focused on delivering a more inclusive approach to Māori news by connecting directly to our communities, Te Ao Māori. 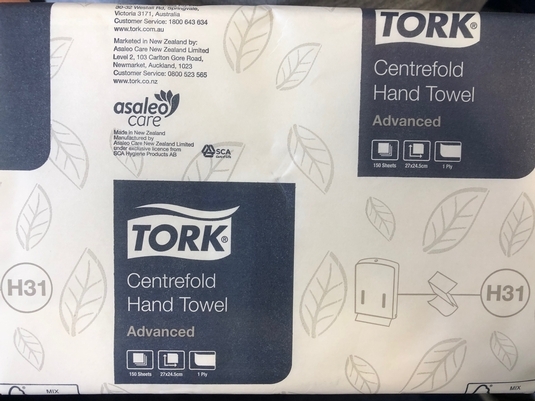 The wrong paper towels were ordered for Ascot Park Kindergarten and they are now looking to offload these. If you are keen please get in touch with one of the team. You will need to uplift these. It is a good idea to save this link as an icon on your desktop.